* Thanksgiving Food Collection to support the food pantry efforts of Lutheran Social Services of Long Island. 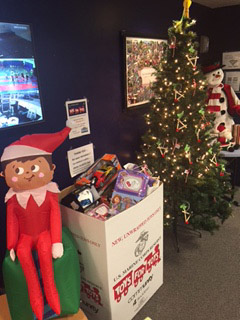 * Holidays "Toys for Tots" Collection to support the U.S. Marines Children's Charitable Initiative. 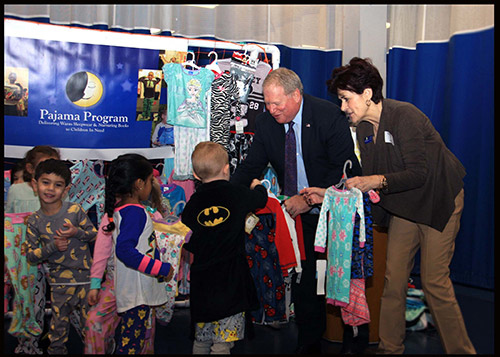 * Pajama Collection to support children in need our communities, a Pajama Foundation of Long Island Initiative. * Mommy & Baby Items Collection in recognition of Mother's Day, to further support the Lutheran Social Services efforts in Uniondale. * Household, Toiletries & Children's Care Items Collection to further support The Safe Center of Long Island Initiative for Domestic & Child Abuse Victims. Supporting other local community organizations - We also support many of our local P.T.A efforts; run a "Friday Staff Jeans Day" fund throughout the school year that has donated to Cohen's Children's Center (formerly Schneiders Hospital) and St. Jude's Hospital for Children. We've also supported, ACS Relay for Life (American Cancer Society Initiative), Alex's Lemonade Stand/supporting childhood cancer awareness and others. We also periodically participate in local community family/children's events and are a local Chamber of Commerce member.